The last week or so has been overwhelmed by end of semester grading, so this post includes just a few thought-provoking quotations/ideas from The Object Stares Back to snap my brain back into research mode. I like the way Elkins opens the book. His interdisciplinary, philosophical framework produces succinct but provocative ideas that I keep returning to as I think about object-oriented ontology: “My eyes can understand only desire and possession” (p. 22). Elkins also wastes little time in thinking about the ways that objects and staring impact medical practice, and he brings a new perspective to practices that were and are deeply standardized. “The doctor’s entire manner is professionally impeccable—which is to say it is horrible, invasive and brutish” (p. 27). This could certainly be read productively against Foucault’s claims about experience and observation in The Birth of The Clinic. 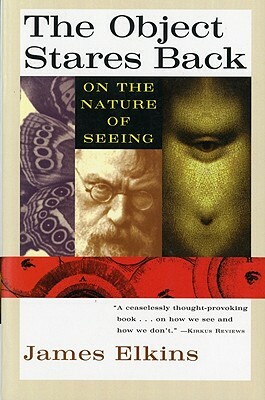 Elkins claims that “We see in overlapping moments,” which is why a still snapshot sometimes does not seem true to us, as when one sees an unflattering picture of oneself (p. 28). I like this idea; it considers how we see motion. Finally, Elkins recommends the journal Ultramicroscopy for anyone interested in scientific imaging. That’s an exploration for another day!